Cinefilm will also provide sample tests of select scenes to 35mm film out and project those in the film screening room adjacent to the DI suite. That way, the client is assured that the look on the digital projection matches the color and density of the prints. Having a lab in the same facility is an added bonus. Feature Production in Georgia has increased in the last year hosting two Warner Brothers films, the most recent being We Are Marshall. Cinefilm was the first draft pick as the lab for this football story starring Matthew McConaughey. The three month production started in West Virginia then finished the majority of location work in the Atlanta area where Cinefilm handled all the processing and HD dailies work. Marshall is the emotional story of the Marshall University Football team that perished in a plane crash when returning from a football game in 1970. The team's new coach (McConaughey) and his surviving players try to keep the football program alive. Director McG teamed with DP Shane Hurlbut on this heart-warming story of a town that moves from tragedy to triumph. Along with McConaughey, Oscar-nominated actor David Strathairn, and Matthew Fox have lead roles. “We were excited to have another WB feature in Atlanta,” notes Joe Huggins, Cinefilm Account Manager, “having had an excellent experience with The ATL a few months earlier. Being called again is always a nod of endorsement.” In both films, the post was also handled on location using Avid systems tied together with the Unity central storage and getting the dailies right and fast was the challenge in both cases. Most features shoot between 200-300,000 feet of 35mm, and The ATL topped about 400,000 feet. But the multiple camera work in the football stadium and crowd scenes of Marshall took the total to over 900,000 feet! “This was my first experience with Cinefilm,” comments DP Hurlbut, “and I have to say I was impressed. With a shoot our size, I wasn’t sure how well a small lab, when compared to some in LA, would perform, but they were great.” Making sure the DP is happy each day is not an easy task, but colorist John Petersen was up to it. The 35mm film was transferred to HDCam for viewing dailies on the set and DBeta for the editors to cut each day. 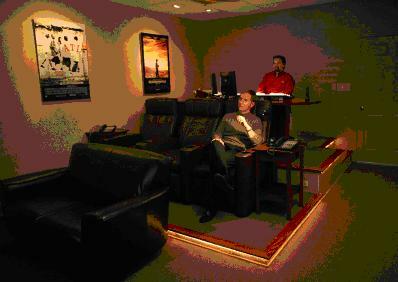 The studios then often use the HD tapes to conform for promos and trailers while the film is in final post. With some days shooting 40,000’ feet of film, that was a lot of transfer work and material to edit. Pricilla Ned-Friendly was the editor on location from the west coast, and Atlanta’s own Joe Binford, who also worked on The ATL was Assistant Editor responsible for syncing and prepping the tapes each day and helped develop the workflow from the lab to edit. Cinefilm is also about to announce their new tape-less all digital suite for Digital Intermediates and film outs. It looks like they are poised to keep even more film work in the South. Many of us remember the Pilgrims from grade school plays or as a boring chapter that was required in high school. But far from that, it is an incredible human drama brought to the screen in an epic three hour special by The History Channel. Desperate Crossing: The Untold Story of the Mayflower, produced by Lone Wolf Documentary Group of Portland, Maine, premieres this November as one of the network’s marquee programming events. Styled in the look and feel of a feature film, it almost seems inappropriate to describe the program as a ‘docu-drama.’ Helping to create that cinematic look was the task of Cinefilm in Atlanta where the final color correction was performed. The production went to great lengths to capture the drama of this small band of religious rebels and their epic journey from England to Holland and across the Atlantic to the New World. Shooting took place on location in Massachusetts at Plimoth Plantation and in Maryland and Virginia, as well as in Europe. The cast features Royal Shakespeare Company actors as well as members of the Wampanoag Indian tribe. With a special of this scale and complexity it is easy for costs to sky-rocket. “In an effort to keep costs down, we made the decision early on to shoot in HD rather than film,” explains Writer-Producer-Director Lisa Wolfinger as she oversees the color correction in the main suite at Cinefilm. “We shot with the new Sony HDV camera and lighted as if it were film with a dark, cinematic look. Some of the scenes in the hull of the Mayflower II (a full replica of the original) were lit only with lantern light to give it an authentic feel. We wanted to be sure viewers ‘felt’ the claustrophobia the original colonists would have felt in the bowels of the ship at sea. But shooting in such low light can be tricky, it can get very muddy fast. We took a big risk counting on color correcting to get the final look we wanted. Special adapters were used with the Sony HDV camera to allow the standard zoom lense to accommodate 35mm primes. “That allowed us to create a shallower depth of field which is often critical to a cinematic look,” notes Tony Bacon, First AD and Co-Editor. 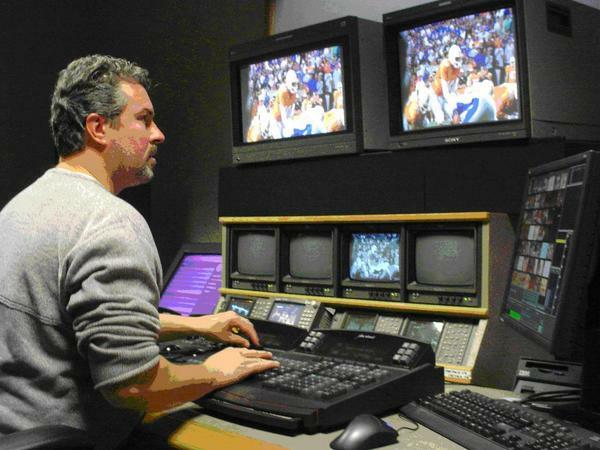 “We then converted the 1080i HDV mpeg stream to HD-SDI with a Mirada converter, and digitized the show into the Avid Adrenaline. 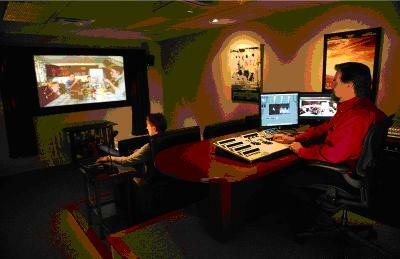 Third party film motion and grain effects were added, before the final color correction at Cinefilm. It’s a very post intensive path, but I think people will be stunned to see how good HDV can look." Though much of the Pilgrims’ look is ‘dark’ – from the clothing, to the ships hull, to the cold winter scenes – there are dramatic and visual contrasts with the vivid colors of the scenes in Elizabethan England and Holland during that period. When watching the special, you forget it’s a documentary as you get absorbed into the drama. Sure, there are noted academics and historians adding commentary, but they feel more like the ‘Witnesses’ intercut in Warren Beaty’s feature “Reds”. In more ways than one, the producers have cast the Mayflower and our nations founding in a whole new dramatic light. It’s our history interpreted as drama…or more appropriately, the drama of our history. The interior hull of the Mayflower II along with the dark clothing of the Pilgrims illustrates the challenge of holding detail in the blacks in the HD color correction of this dramatic special for the History Channel. The producers went to great lengths to authentically recreate the Pilgrim’s meetings with the Wampanoag native people. Being sure the subtle colors and moods of these scenes were maintained was a challenge for Cinefilm colorist, Ron Anderson, correcting tape-to-tape in the DVCPro HD format. The drama of the Mayflower crossing was not all dark moods as evidenced by this scene in the courts of England. Writer-Director Lisa Wolfinger, right, sets up a shot with actors from the Royal Shakespeare Company.